... 1866, Helen Beatrix Potter (right) was born in London. She grew up in that city, though she and her family spent long vacations in Scotland and in England's Lake District. These holidays instilled a love of country life, and that, coupled with the classical education she received from the governesses who tutored her, inspired her to draw and write about flora and fauna alike. 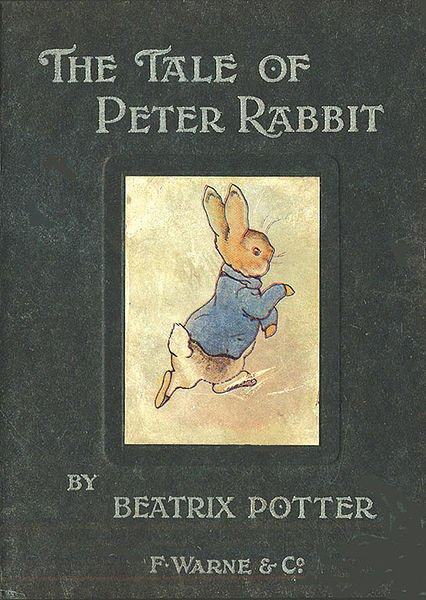 In 1901, she produced The Tale of Peter Rabbit -- since published in 3 dozen languages -- and that led to a host of other stories that children and their parents still love today. 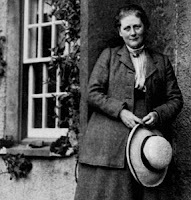 Upon her death in 1943, Beatrix Potter Heelis, who'd married a local solicitor at age 47, bequeathed more than 4,000 acres of Lake District countryside, much of which she'd purchased to protect from development, to Britain's National Trust.